Very good. 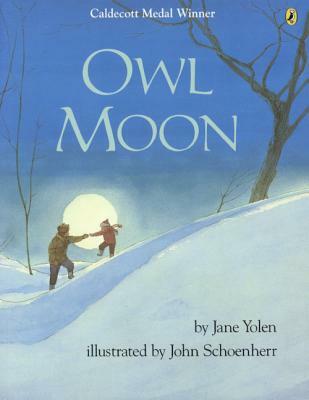 Owl Moon by Yolen, J. Fair. 0590420445 Ships from Tennessee, usually the same or next day. This saga of a father son adventure draws in the listener while painting a real picture of an owning adventure. One can nearly feel the frosty air and the sound of the owl is haunting. My little audience loved the book while the reader added his own version of, "Whooot, who, who, who, whooot." (Young owners also enjoy experimenting with the "whooot" sound.